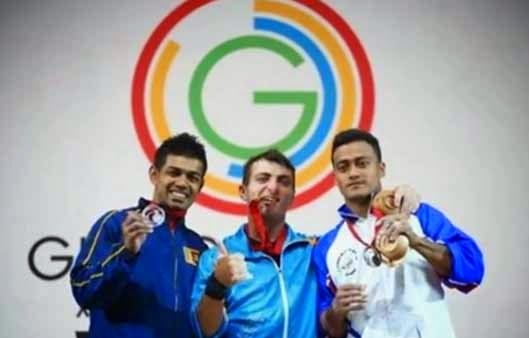 Sri Lanka's Sudesh Peiris has won the Silver Medal for Men's weightlifting in the 62kg category at the Commonwealth Games 2014 held in Glasgow,Scotland. Peiris's medal is Sri Lanka's first medal at the games this year. Weight Lifter Sudesh led the Sri Lankan contingent comprising 104 athletes at the 20th Commonwealth Game. He had won the bronze medal in the men’s 62 kg weightlifting clean and jerk event during the Commonwealth Games in New Delhi 2010.